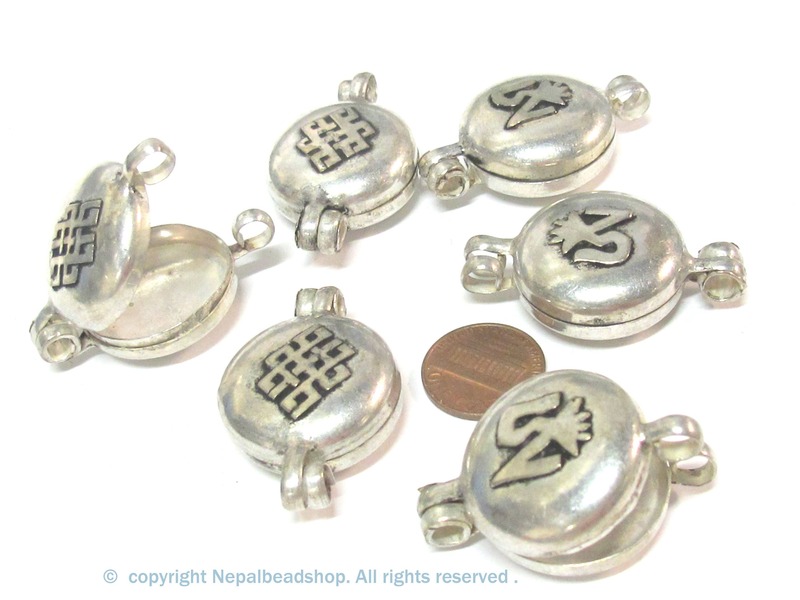 This listing is for 4 pendants. 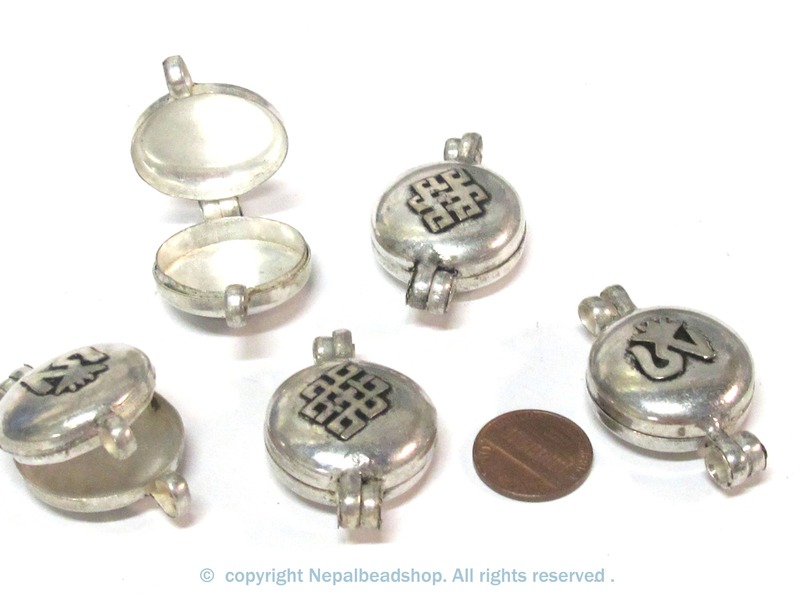 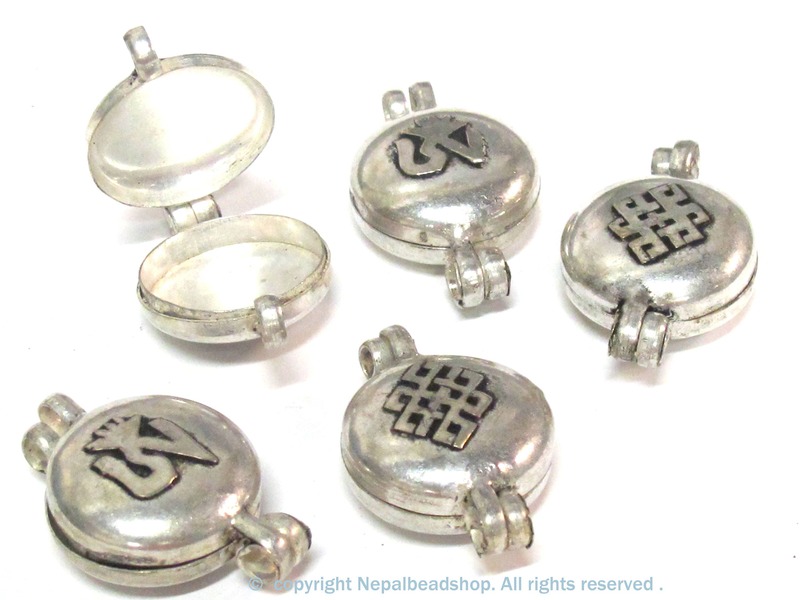 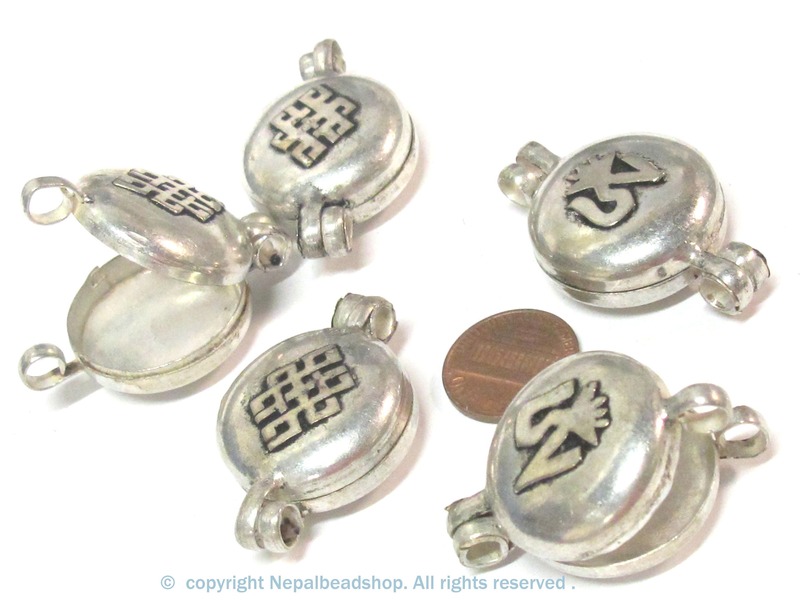 This is a medium size Tibetan prayer box ghau pendant . Tibetan Om symbol on one side and Endless Knot symbol on other side. 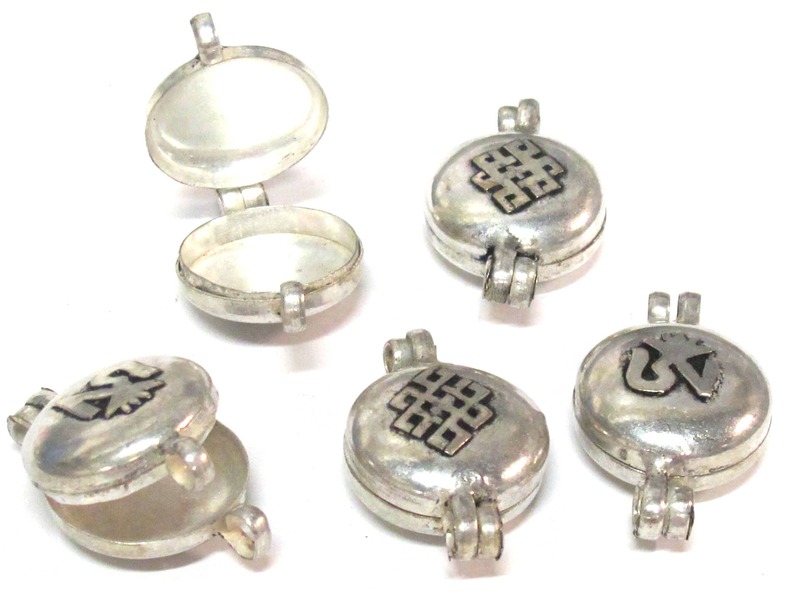 Reversible pendant . 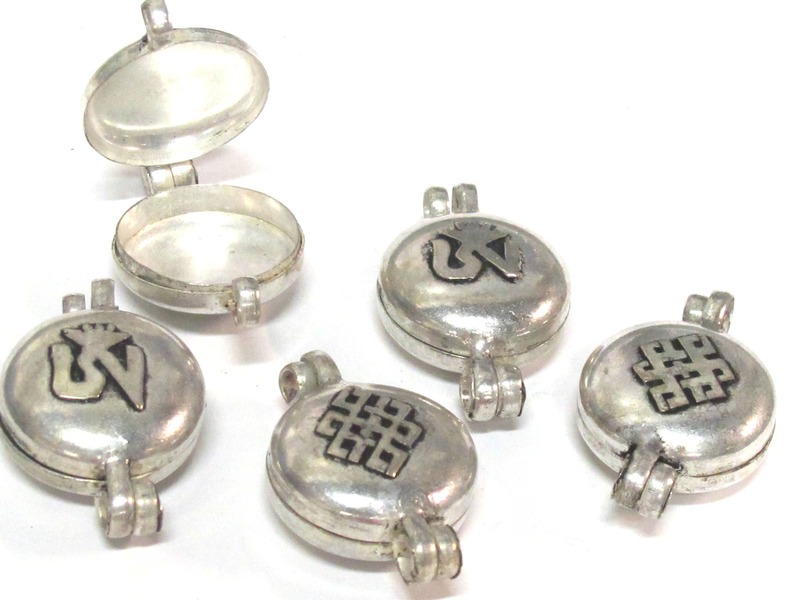 Box opens like a hinge as shown in the picture.